For all who don’t start the fun until actual St. Patrick’s Day, here’s an easy but cute craft to do with your kiddos. I made these with my kids at the German School I teach at. First, you take the green paper and wrap it around the toilet paper roll. If you’re lucky, you don’t even have to glue it on, you just tuck it in on both ends. We glued. 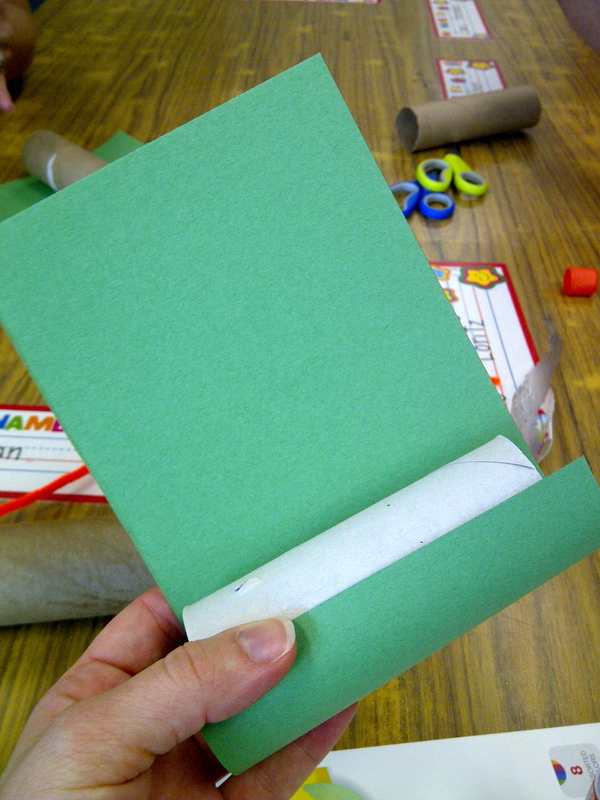 Then you cut out a face and 2 hands out of the skin-colored paper, and 2 arms out of the green paper. 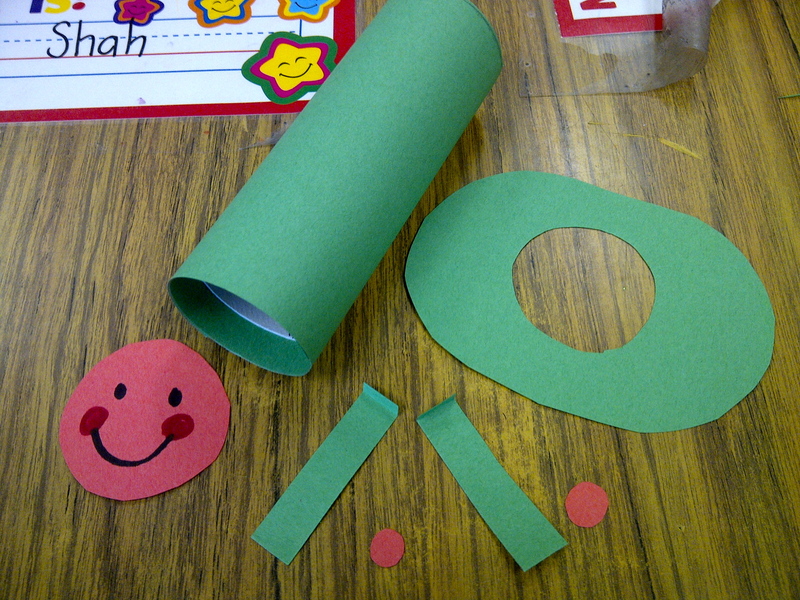 You also cut out a larger round green circle and in that circle, you cut a smaller circle, so you have a green paper donut. The inside cutout of the circle will be as big as your toilet paper roll. 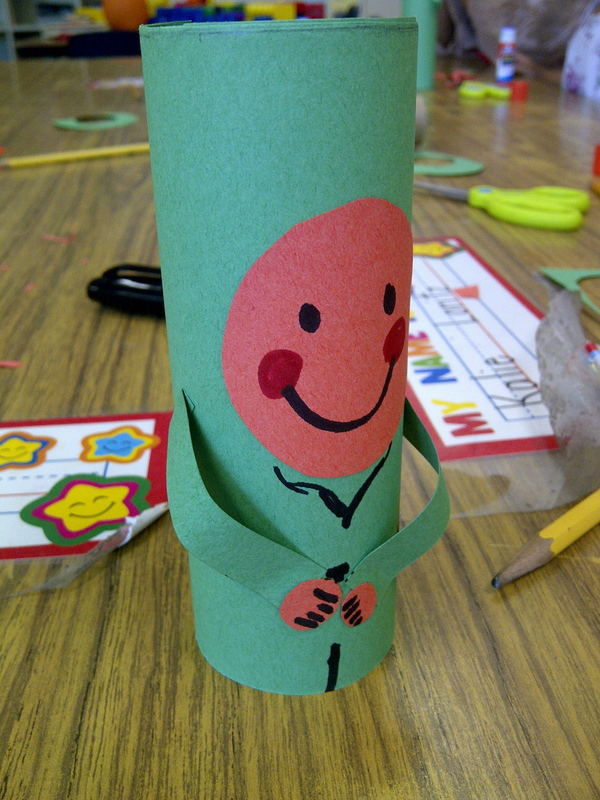 Now it’s time to give your face circle a face and glue face, arms and hands onto the toilet paper roll. As we’re at it, also give the green toilet paper roll a nice black belt and some accents that suggest a shirt and pants. After that, you add the hat by pushing the donut onto the toilet paper roll. Then take your pipe cleaner, twist it nicely, and wrap it around the face shape up to the hat. Pierce the hat to attach the beard. Optionally, you can add a second identical hat to hide the pipe cleaner ends. Take 2 small pieces of pipe cleaner and attach them to the bottom of the toilet paper roll to add feet. Tada! 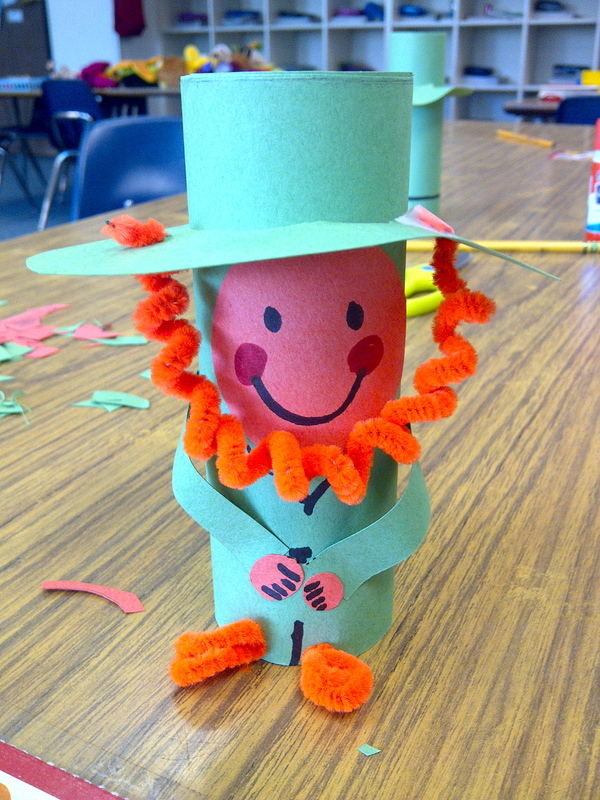 You have the cutest little leprechaun that kids of almost every age are able to make. If you feel girly, you could add some golden or green glitter glue! Send me your pictures of YOUR leprechauns – I’d love to see them! ← Designer Brands for Next To Free? It’s The Goodwill Experience!